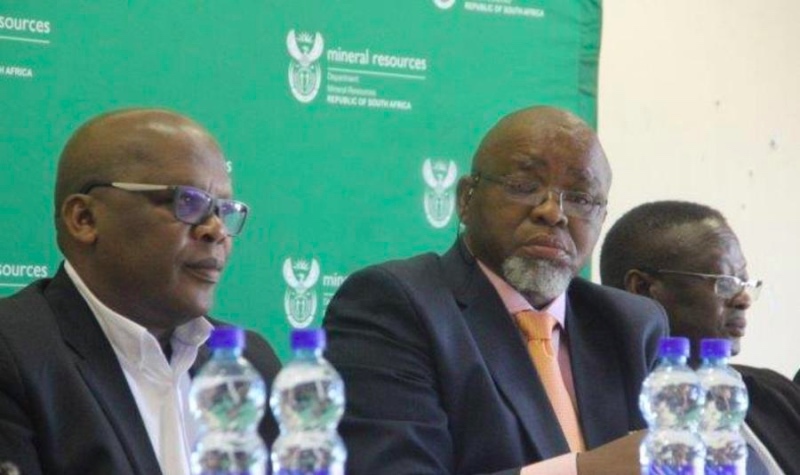 South African Minister of Mineral Resources, Gwede Mantashe visited the Eastern Cape Province to consult with various stakeholders for comments on the 2017 draft mining charter before it is finalised and gazatted. The consultation took place on Friday, 18 May at the King Williams Town War Memorial. The mining charter was first introduced in 2004 in terms of the 2002 Mineral and Petroleum Resources Development Act (MPRDA). Before then, minerals could be privately owned in South Africa but since the introduction of the charter, all mines are required to lease the mineral resource under conditions imposed by the charter. Mantashe said that one of the key elements in the new mining charter is black persons' shareholding in prospecting and mining rights. "New holders of prospecting rights will be required to have 50 percent black persons' shareholding and new mining rights must have 30 percent black persons’ shareholding to be divided among employees, communities and entrepreneurs," said Mantashe. Furthermore, Mantashe emphasised that what is outlined in the charter will not happen automatically. Mantashe described the inputs made during the consultative meeting as invaluable. "We wanted to get a sense of what the public views are in the Eastern Cape and we have received invaluable information that will be used in the final draft of the charter," he said. BCMM Deputy Executive Mayor Zoliswa Matana said Buffalo City is happy to have had the consultation in the region. "The City is happy to host this visit because Eastern Cape has the resource to become a key player in the mining sector as it is rich in dolerite and kaolin, we hope relevant stakeholders have been empowered to utilise this resource to boost economic and investment opportunities in the Province," said Matana. Key issues raised by the public at the meeting were around lack of community benefit during the prospecting and mining activities. Ayanda Kota, representing Unemployed People's Movement and Mining Affected Communities said he would be happy if the strategy focused more on encouraging cooperatives in the mining sector so that community members benefit directly from mining opportunities and not individuals. Kota also added that the voice of the public should be respected "if a community does not want mining activities to take place in their area, the DMR and mining companies should respect that and not disregard the public's wishes for financial gain," he said. The consultations are taking place in all nine provinces. Eastern Cape was the 8th province to be consulted.